HP Inc. introduced new wireless HP DeskJet Ink Advantage printers. The new wireless HP DeskJet Ink Advantage printers feature newer designs and mobile printing. The HP DeskJet Ink Advantage 4535 All-in-One printer features a minimalist design that is accentuated by the integration of the scanner lid and input tray. The output area also takes the shape of a smile with a long, curved opening across the front for users to easily collect their print jobs. The printer features an easy way to print from a smartphone or tablet and lab-quality photos, creative projects, hobbies and documents. The HP Deskjet Ink Advantage 4675 All-in-One brings mobile convenience for the home office, featuring HP’s mobile out-of-box experience, as well as a hidden output arm that automatically extends when users send a print job from their mobile device or PC. This printer also includes a 5.5cm touch-enabled display and fast print speeds. The HP Deskjet Ink Advantage 3835 All-in-One printer delivers wireless-enabled, quality printing for everyday documents; convenient multipage faxing, scanning, and copying; easy mobile setup; and easy mobile printing from tablets and smartphones. With the HP All-in-One Printer Remote mobile app, users can also manage printing tasks and scan directly from their mobile device. The HP Deskjet Ink Advantage 4535 All-in-One printer starts at P5,420.00. 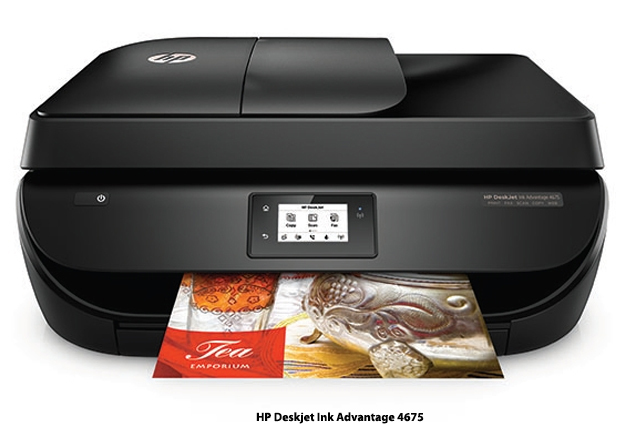 The HP Deskjet Ink Advantage 4675 All-in-One printer starts at P6,590.00. The HP Deskjet Ink Advantage 3835 All-in-One printer starts at P5,320.00. Users can also save more on printing cost with Original HP Ink Advantage cartridges, without worrying about refilling, frequent maintenance and wasting ink. Each Original HP Ink cartridge is tested to ensure sharp output, reducing the need to reprints which can undermine productivity and increase printing costs.